Maxibon - Is there anywhere in Glasgow/Scotland that sells them? I've been craving these for years but cannot find them anywhere! Sainsbury's used to stock them, but after I got my first box they disappeared never to return... was heartbroken, it was a LONG time ago! I can't find them in Manchester either. Or Winner Taco, they were amazing as well! Never seen those before... they look as amazing as you said they are! How comes all the best ice creams have completely disappeared in the UK? 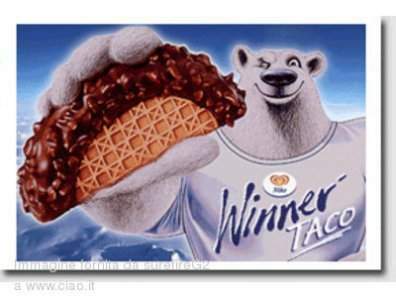 The last time I had a Winner Taco it was in Spain about 6 years ago. They did sell them over here but they seemed to just disappear. Same with the Maxibons. Seems companies just discontinue products as and when! Feastwich was the best yum yum. The last time I got hold of a Maxibon was at a Shell petrol station, but it was last year. Apparently the larger Sainsburys have them but I'm not absolutely sure. Tried a good range of Sainsbury's but no luck since initial find years ago! I'm pretty sure these, and probably Winner Tacos too, are widely available on the continent, they're just so difficult to find over here. Have been told to try Esso and Moto petrol/service stations! The only image I can find of a Feastwich... Want! Apparantly Heron Foods sell them and Aldi make their own version called Maxiblock which are £1.99 for 6. Good luck with the hunt! Lidl sell a sandwich icecream which is almost as good. V cheap (unlike the genuine article). Will have to give them a go too! Thanks. To anyone wondering, I have so far tried Lidl's Gelatelli 'ice cream sandwich'. 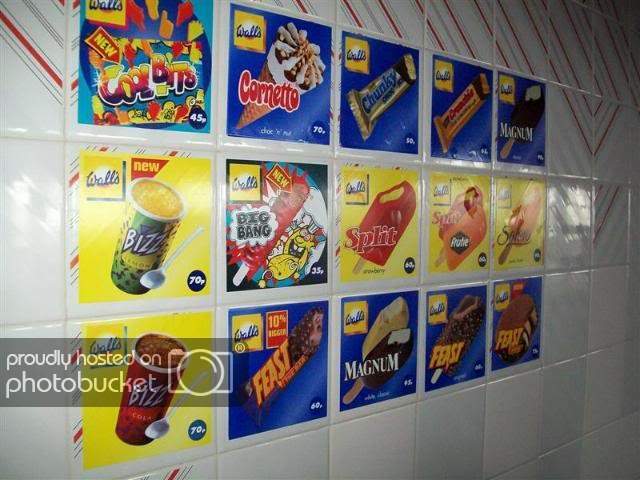 They had the 'Classic', 'Strawberry' and 'Hazelnut' flavour. I bought the 'Classic'... it's a perfectly edible long choc ice with half an end covered in wafer... Not sponge like Maxibon. Thumbs down on the Maxibon replacement number one. Will have to try and track down some Maxiblock from Aldi, sounds more promising perhaps? Okay... the search for Maxibons continued when I was down south in London visiting family...! I feel like a Maxibon geek here! Well, I got my first Maxibon in years at an Esso station somewhere between London and Eastbourne. And it was a Maxibon Cookie, for about £1.69. Maxibon Cookie seems to be new over here, with chocolate chips in the ice cream and the spongy part of the sandwich replaced with a cookie like sandwich. Basically, it was really, really good! On the way back up from London I found the same ones again in a service station WHSmiths (confirming craigjamieson's find!) for £1.99... Woohoo. But, when I checked an Esso up here in Glasgow today, no Maxibons, nada! Will try WHSmiths on Argyle Street or Central Station soon but seriously, why none is Scotland (so far)? !